With such a large selection of dog breeds out there, there is also a wide variety of dog nutrition needs that match every breed. 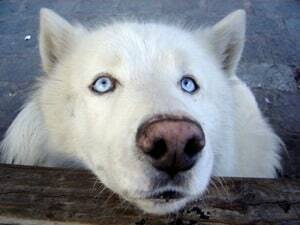 Finding the most efficient food for your dog will require some researches. 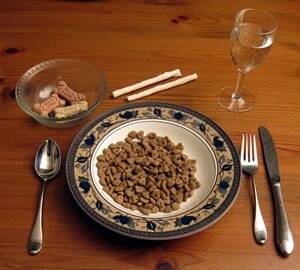 A veterinarian may be able to give you useful suggestions about the type of food that is the healthiest for your pet. Some people also make the homemade dog food for their dogs from scratch using natural, high-quality ingredients. Dog food formulas that specify the needs of your specific dog and his breed may be the best choice you can make. 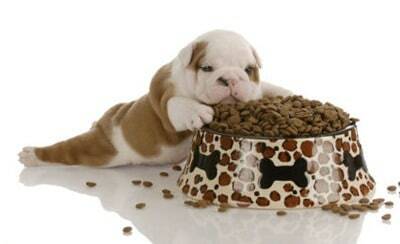 Most dog foods can be purchased in stores as dry food, which is also referred to as kibble. This is typically the most affordable option even if it is not the best. Wet food is another option that is more expensive and has to be rationed carefully to match the right serving amounts for your dog’s meal. The food that the dog doesn’t consume at once can just spoil if it is left unattended. When you choose a dog food that is specific to a breed, you have to evaluate the characteristics of that breed. For instance, Labradors gain weight very quickly and some dogs like bulldogs are excessively flatulent. In addition to the breed, you’ll also have to look at the size of your dogs when you choose his food. Larger breeds like German Shepherds, Irish Wolfhounds, Labradors, and Great Danes need more nutrients and vitamins to achieve a healthy diet, especially because they are more prone to bone and health problems. Their diets are usually high in protein, but whatever you feed them you do not want to overfeed them. Also, some breeds are more likely to suffer from diseases and conditions, so some foods have to be specially formulated in order for them to receive enough nutrients which will reverse the effects of disease. Some dogs shed their hairs more often during the year so they will also need more essential nutrients. Many breeds come in many different bodies and capabilities. Boxers are more likely to suffer heart and immune system problems, so you need a formula with the right amount of antioxidants that will boost the health of his immune system and joints. Chihuahuas, Miniature Pinschers, and Toy Manchester Terriers require nutrition that helps maintain their low weight. Dachshunds are more likely to suffer from back problems, so owners of this breed and certain types of terriers should choose a formula that will support the dog’s short legs and long back. There are a lot of generic advices around that give information on how to choose breed specific dog food, but it is just as crucial that you look at the individual qualities of your pet. For instance, you may own a Great Dane and believe that breed-specific food will work best for them. However, it is important that you find out if your dog suffers from any intolerances or allergies. If so, your vet should be able to assist you in determining whether or not certain foods could be problematic. In conclusion, there is no standard when it comes to regular dog food or breed-specific dog food. You will want to look at the specific health problems and nutritional requirements for each breed in addition to the individual qualities of each dog if you want to find the best feeding formula around.